available in 4, 6, 8, 10 and 12 person models. The WINSLOW® Super-Light Offshore Plus Life Raft is the Benchmark ! 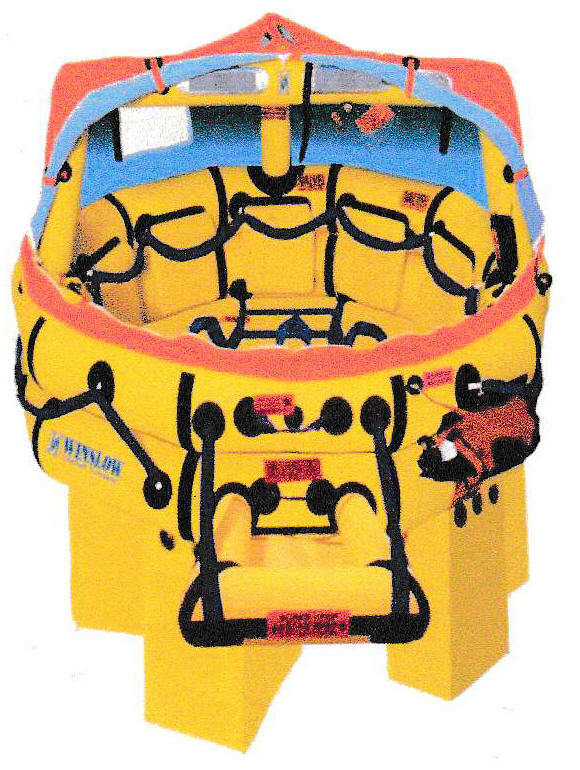 OceanMedix is an Authorized Dealer for the complete line of Winslow Life Rafts - Marine, Corporate and General Aviation. ► Free UPS Ground (HAZMATS) shipping to the lower 48 states. ► No sales tax collected, unless delivered in Florida or Wyoming. The WINSLOW® Super-Light Offshore Plus Life Raft is available in 4, 6, 8, 10 and 12 person models. The Urethane Valise is standard, with Canister and Winslow® Pelican® Pac options available. Product note: Each Winslow life raft is fabricated to order, with a 7 - 10 business day lead time required prior to shipment to you. 1) HAZMAT - This product ships via Ground Service. 2) Expedited shipping quotes for both domestic and international shipments are available upon request. Winslow Life Rafts are set apart from the others; and, are made in the U.S.A.
Click the button below to add the Winslow Super-Light Offshore Plus Life Raft to your wish list.